Virginia, also known as the Commonwealth of Virginia, V-A, or simply the Commonwealth, is a U.S. state located in the South Atlantic region of the contiguous United States of America. Virginia is nicknamed the "Old Dominion" due to its status as a former dominion of Great Britain and "Mother of Presidents" due to many U.S. presidents having been born there. The decision came from what seemed to many white Virginians the unavoidable logic of the situation. Virginia was a slave state; the Republicans had announced their intention of limiting slavery. Slavery was protected by the sovereignty of the state. “Virginia?” he said, as if I had asked him if there was anywhere local we could get a dose of syphilis. Carry me back to old Virginia; there let me live 'till I wither and decay. H to the izz-o, v to the izz-a. For shizzle my nizzle, used to dribble down in VA. In 1640, the very first gun control law ever enacted on these shores was passed in Virginia. It provided that blacks, even freemen, could not own guns. Sir, the great question which is now uprooting this Government to its foundation, the great question which underlies all our deliberations here, is the question of African slavery. Thomas Goode, speech to the Virginia Secession Convention (28 March 1861), volume II, p. 518. Ulysses S. Grant, letter to Robert E. Lee (7 April 1865). Red-Cloud Owen grew up in New York, but he spent his summers in Virginia with his cousins and other members of the tribe. At 15, he moved to Virginia so that he could attend an all-Indian school. He decided to stay for good, but his mother would never return to live in Virginia again. She died in 1974. Before she died, however, she made a request, Red-Cloud Owen says. She wanted to be buried in the Chickahominy tribal cemetery, next to the tribal center and near the small town where she grew up and knew the name of everyone and every tree. Buried in Virginia. Buried as an Indian. VA? Now, that sounds great. Save for defense of my native state, I never desire again to draw my sword. 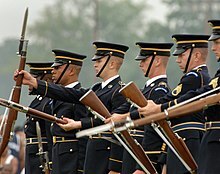 I, Robert E. Lee of Lexington, Virginia do solemn, in the presence of Almighty God, that I will henceforth faithfully support, protect and defend the Constitution of the United States, the Union of the States thereafter, and that I will, in like manner, abide by and faithful support all laws and proclamations which have been made during the existing rebellion with reference to the emancipation of slaves, so help me God. I think it would be better for Virginia if she could get rid of them... I think it would be for the benefit of Virginia. I am rejoiced that slavery is abolished. I believe it will be greatly for the interests of the south. So fully am I satisfied of this, as regards Virginia especially, that I would cheerfully have lost all I have lost by the war, and have suffered all I have suffered, to have this object attained. On a view of all circumstances I have judged it most prudent not to force Billey back to Virginia even if it could be done; and have accordingly taken measures for his final separation from me. I am persuaded his mind is too thoroughly tainted to be a fit companion for fellow slaves in Virginia. The laws here do not admit of his being sold for more than 7 years. I do not expect to get near the worth of him; but cannot think of punishing him by transportation merely for coveting that liberty for which we have paid the prices of so much blood, and have proclaimed so often to be the right, and worthy the pursuit of every human being. We did not violate the law, and I will use every available resource and advocate I have for as long as it takes to fight these false allegations. She never compromises; loves babies and surprises. Wears high-heels when she exercises, ain't that beautiful? Meet Virginia... Meet Virginia; I can't wait to. John Mosby, letter to Samuel "Sam" Chapman (9 May 1907), Washington, D.C. I wrote you about my disgust at reading the Reunion speeches. It has since been increased by reading Christian's report. I am certainly glad I wasn't there. According to Christian, the Virginia people were the abolitionists and the Northern people were pro-slavery. He says slavery was 'a patriarchal' institution. So were polygamy and circumcision. Ask Hugh if he has been circumcised. Christian quotes what the Old Virginians said against slavery. True; but why didn't he quote what the modern Virginians said in favor of it? Mason, Hunter, Wise, etc. Why didn't he state that a Virginia senator, Mason, was the author of the Fugitive Slave Law, and why didn't he quote The Virginia Code that made it a crime to speak against slavery? The South went to war on account of slavery. South Carolina went to war, as she said in her secession proclamation, because slavery would not be secure under Lincoln. South Carolina ought to know what was the cause for her seceding. The truth is the modern Virginians departed from the teachings of the Fathers. Yes, Virginia, there are still heroes in America. He captured Harper's Ferry, with his nineteen men so few, and frightened 'Old Virginny' till she trembled through and through. They hung him for a traitor, they themselves the traitor crew. But, his soul is marching on. Three centuries have passed since, with the settlements on the coasts of Virginia and Massachusetts, the real history of what is now the United States began. All this we ultimately owe to the action of an Italian seaman in the service of a Spanish King and a Spanish Queen. It is eminently fitting that one of the largest and most influential social organizations of this great Republic, a republic in which the tongue is English, and the blood derived from many sources, should, in its name, commemorate the great Italian. It is eminently fitting to make an address on Americanism. Even though the [Virginian] state had slaves, the Founders proclaimed all men had equal rights. 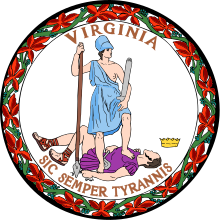 [I]n 1782, Virginia passed a bill permitting private manumissions. Over the next ten years, Virginians manumitted about 1,000 slaves, including some who had fought as substitutes for their owners. Many more, however, were returned to slavery, so many, in fact, that the legislature felt compelled to speak out against this obvious injustice. In the fall of 1783, it passed a bill condemning owners who contrary to principles of justice and to their own solemn promise," kept their substitutes in slavery. It also instructed the Attorney General of Virginia to act on behalf of slaves held in servitude despite their war-time service and grant them the freedom they had earned. It is unknown how many slaves were freed in Virginia as a reward for military service. Virginia led the way among the colonies in excluding blacks from militia service, when the House of Burgesses required in January 1639 that only white Virginians arm themselves. I think Stone Mountain is amusing, but then again I find most representations of Robert E. Lee and Stonewall Jackson outside of Virginia, and, in Jackson's case, West Virginia, to be amusing. 'The people of the South', says a contemporary, 'are not fighting for slavery but for independence'. Let us look into this matter. It is an easy task, we think, to show up this new-fangled heresy, a heresy calculated to do us no good, for it cannot deceive foreign statesmen nor peoples, nor mislead any one here nor in Yankeeland... Our doctrine is this. WE ARE FIGHTING FOR INDEPENDENCE THAT OUR GREAT AND NECESSARY DOMESTIC INSTITUTION OF SLAVERY SHALL BE PRESERVED, and for the preservation of other institutions of which slavery is the groundwork. Virginians typically treated their slaves harshly. Better, far better! Endure all the horrors of civil war than to see the dusky sons of Ham leading the fair daughters of the South to the altar. Latin for "Thus Always to Tyrants". See "State Symbols, Seals and Emblems," archived from the virginia.org original on 15 January 2009. Virginia for so long has made me look back on whatever regional identity it might have. My first impression is that it doesn't really have one... Virginia, for those without easy transportation options, is downright god-awfully boring. Today, I offer the Commonwealth's sincere apology for Virginia's participation in eugenics. We must remember the Commonwealth's past mistakes in order to prevent them from recurring.